I had a few things I wanted to recycle. 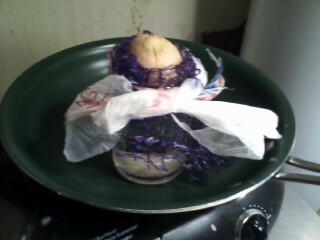 I used some material from the bag our potatoes came in and then a piece of plastic grocery bag tied around the potato bag over the jar. The avocado pit was pushed far enough down into the jar to be able to start this way.